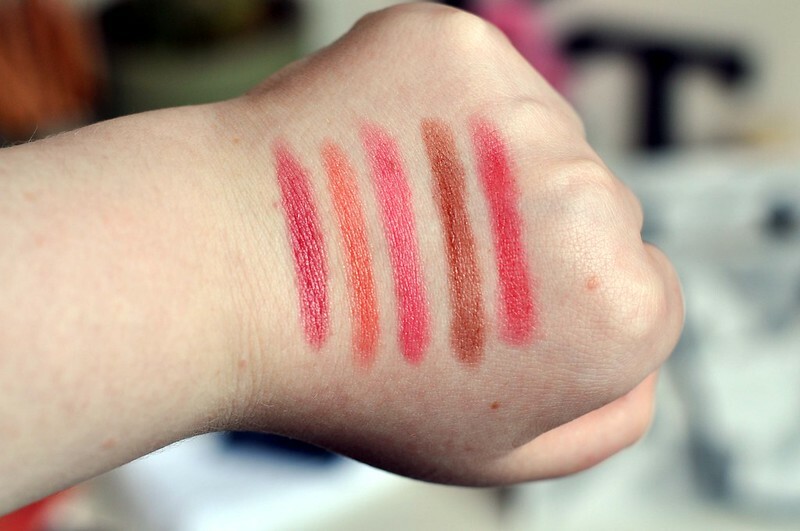 Swatches: Super Strawberry // Oversized Orange // Curvy Candy // Richer Raisin // Chunky Cherry. 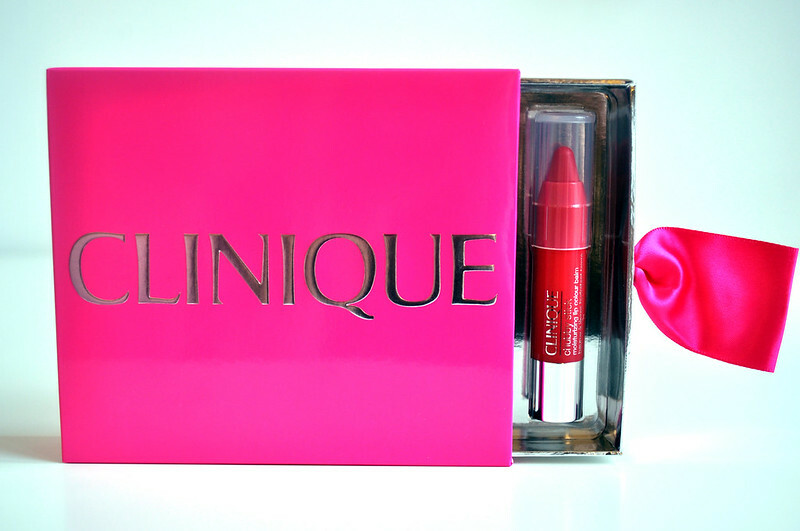 I'm a huge fan of tinted lip balms and I've wanted to try the Clinique Chubby Sticks ever since they launched so I ordered this gift set as soon as it was available. I'm a bit late with getting this post published though so it isn't available anymore. If they start selling this set again at the end of the year I'd really recommend buying one. I use and really like all the colours with my favourite being Curvy Candy, a pretty everyday pink. They're all surprisingly pigmented and look more like a lipstick than lip balm. They feel great on the lips and are quite moisturising. I do still need a lip balm underneath if my lips are very dry. I really like the packaging and you don't have to mess around with a sharpener as the lip balm just twists up. I was expecting them to have a nice scent but they just smell a bit like a crayon which is a bit disappointing. A full size Chubby Stick is £16 for 3g. 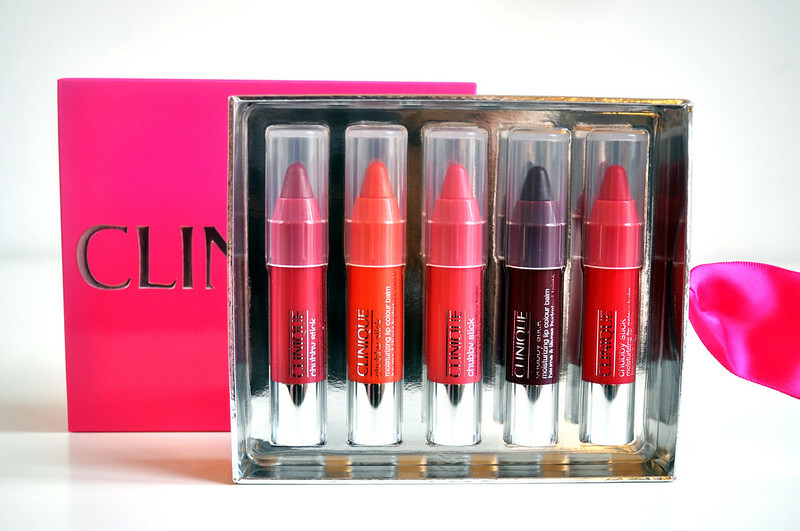 This gift set was £30 and you get 1.2g in each lip balm. If you work it all out it's actually pretty good value for money. Two mini's equal roughly one full size and you get 5 minis in the set. I haven't tried the Revlon versions which are cheaper so I can't compare the two. I am going to picking a couple up once my spending ban is over though. Aw this is a cute little set! 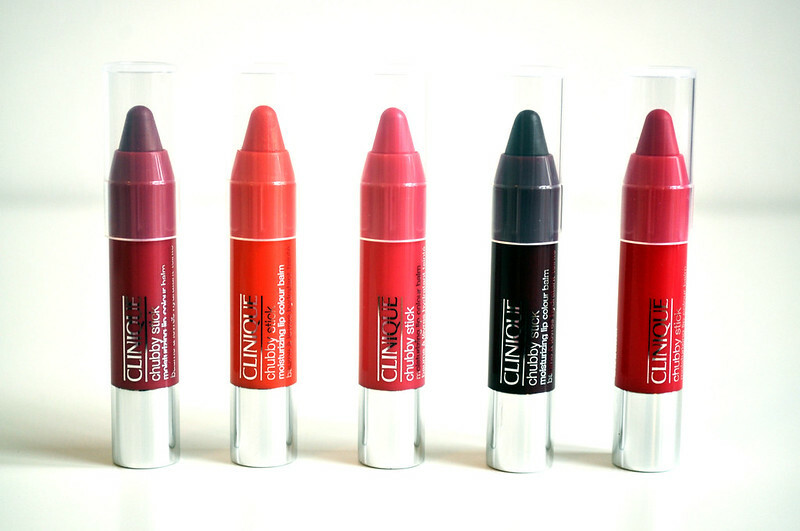 I havent tried any of the chubby sticks yet!